Cosmetic dentistry can successfully change your smile and restore your confidence. Cosmetic and general dentist Kourosh Keihani, DDS, and the team at Oxnard Dentistry in Oxnard, California, are dedicated to helping patients achieve their aesthetic goals through full or partial smile makeovers. If you're looking for a smile touch-up or a complete restoration, call Oxnard Dentistry or book online for a consultation today. Dr. Keihani and his team offer both complete and partial smile makeovers, depending on your unique concerns and aesthetic priorities. A smile makeover can involve one or more cosmetic dentistry procedures to improve your smile. In most cases, these procedures can involve a simple whitening treatment or a full mouth reconstruction. 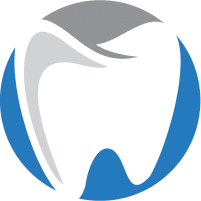 What are the common types of cosmetic dentistry? Inlays and onlays are typically used to treat mild to moderate decay. Dr. Keihani might also recommend an onlay or inlay if your tooth isn’t strong enough to support a filling. Inlays are an indirect filling placed over the top of your tooth, while onlays act as replacement teeth when your dental needs aren’t significant enough to require a crown. Tooth-colored fillings, or composite bonding, replace discoloration or a damaged tooth. Dr. Keihani drills out the affected area and uses a tooth-colored material for it to blend in with your natural teeth seamlessly. Veneers are custom-made layers of porcelain or composite resin that go directly onto the surface of your tooth to fix any crooked, damaged, or cracked teeth. Dental implants can successfully replace damaged teeth or fill in gaps. Dr. Keihani surgically inserts titanium posts directly into your jawbone that serve as support for a prosthetic replacement tooth. Next, you discuss options for your smile makeover. Dr. Keihani enjoys educating patients and works alongside you to come up with a satisfying makeover treatment plan. For a small fee, the team at Oxnard Dentistry can show you the projected results of your smile makeover can look like before you decide whether you want to go through with it. Like the outcome? Get that smile makeover, and what you already paid will be applied to your procedure. The team at Oxnard Dentistry believes in a conservative approach to dentistry. In other words, they won't recommend a procedure that might pose risks to your overall health. Dr. Keihani and his team also offer affordable and flexible payment options to ensure that you get the results you need without breaking the bank. Could your smile be healthier, brighter, and more radiant? If so, call Oxnard Dentistry or make an appointment online today.